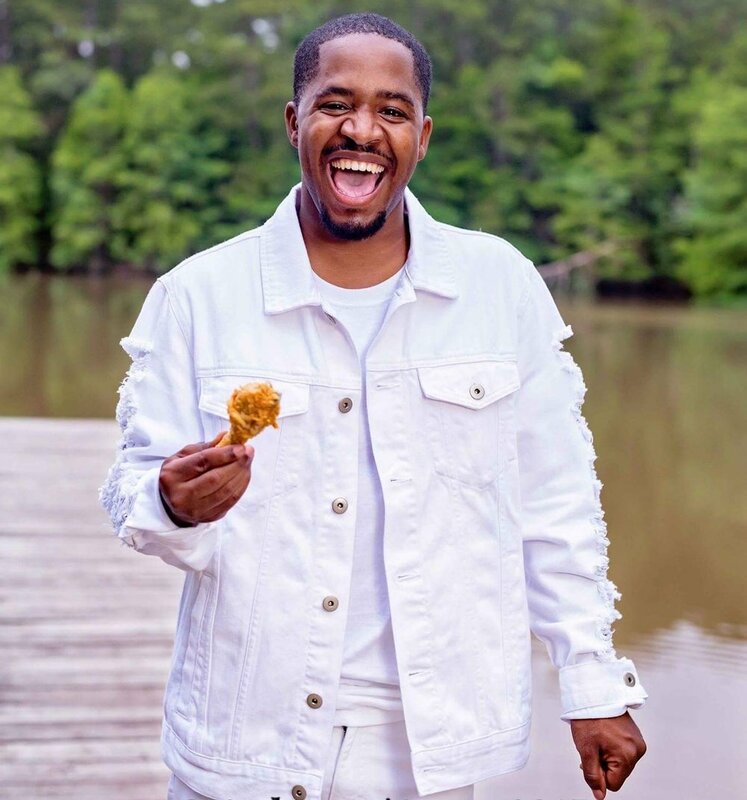 You all know viral sensation & funny man Terrence Williams from Facebook, Twitter, Instagram, YouTube, and watching his comedy-laced videos that have appeared all over national television. 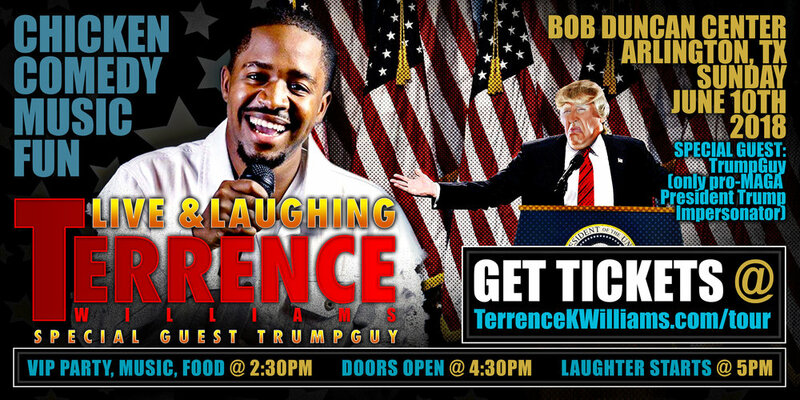 Don't miss Terrence perform his hilarious standup comedy set, comment on current events, pop culture, and politics, and interact with his special guest TrumpGuy (Dustin Gold, only pro-Trump President Trump comedic impersonator). Comedy, Music, Multimedia, and Fun for all... and don't forget to pick up a VIP Ticket if you want to eat fried chicken, take pictures, and gossip with Terrence.pick up a VIP Ticket if you want to eat fried chicken, take pictures, and gossip with Terrence. Terrence Williams was born and raised in Oklahoma City where he spent the first 15 years of his life in Foster Care. He comes from a background of absent parents and a child of the system. While searching for his true calling, his frustration with the current state of our country led him to post videos of himself expressing his feelings with a mix of humor on social media about trending topics and controversies. One day, he decided to push the “public” button and the next day his normal 2 views turned into over 42million. Terrence has since come to realize his voice can be heard. This young man is finding his calling and his passion for inner city kids. He wants to share his story with the many that fall victim of the system, to teach and inspire kids they are more than their circumstances.